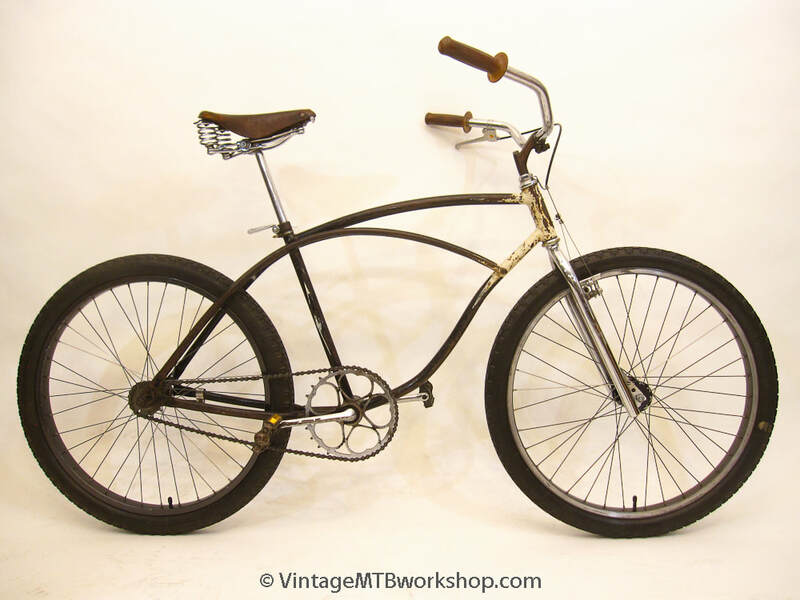 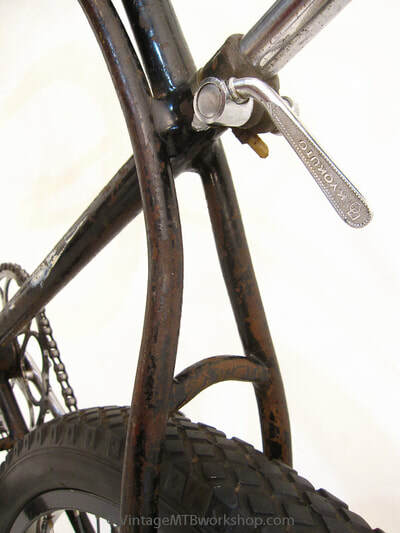 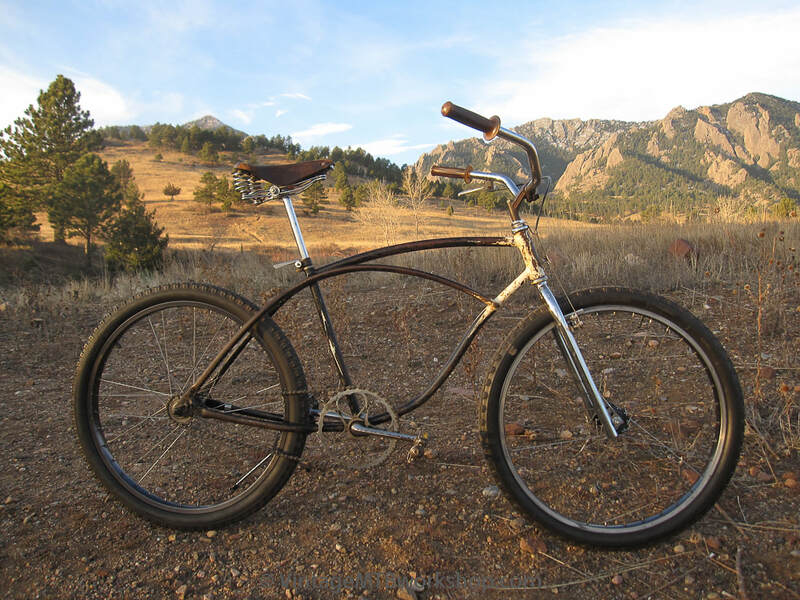 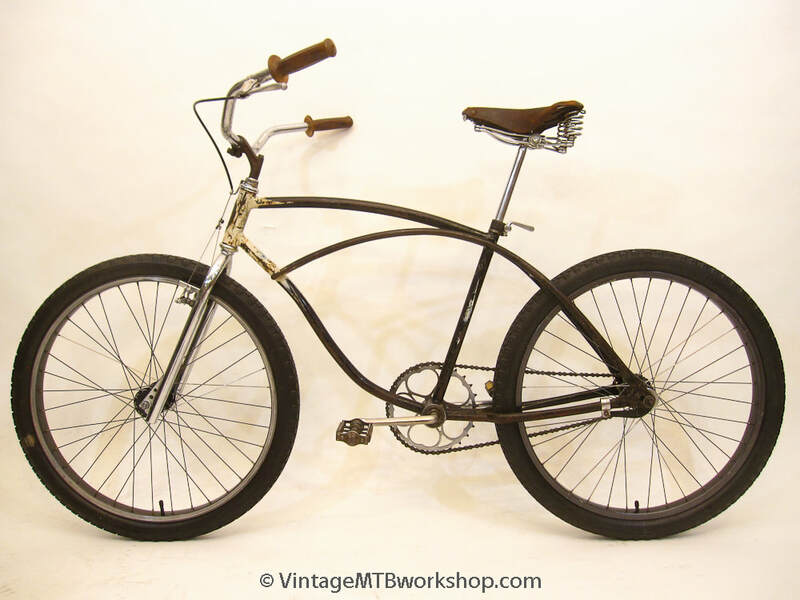 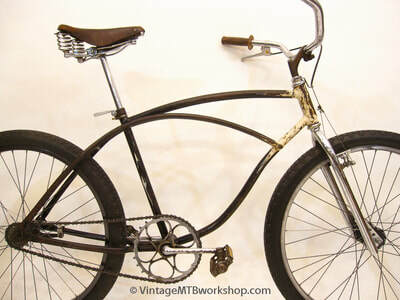 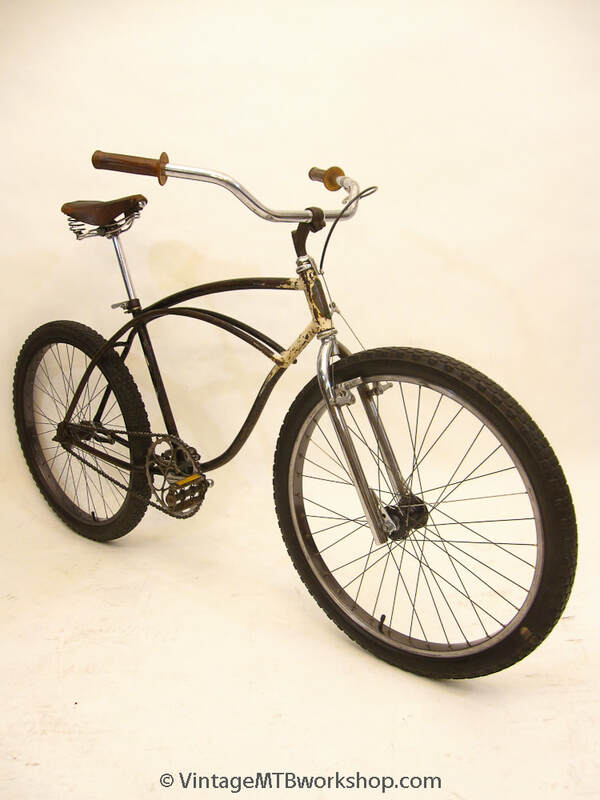 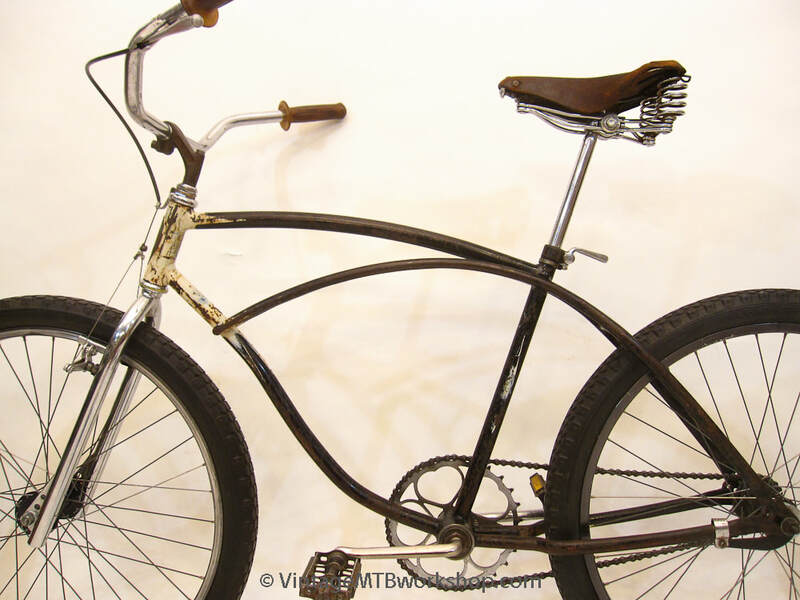 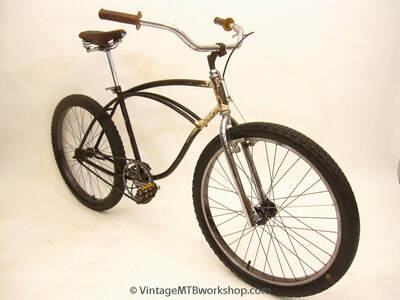 This pre-war Schwinn cantilever was built up for off-road riding and Repack downhill bombing by original Larkspur Canyon Gang member Rob Stewart in the 1970's. 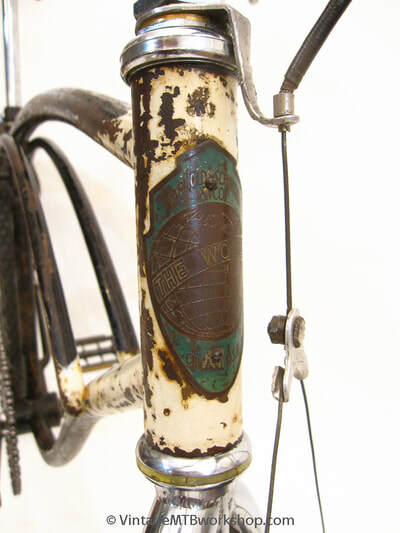 The frame and original fork came from Klamath, Falls Oregon and the "legendary" Wokus bike "shop", which was more like a pile of bikes. 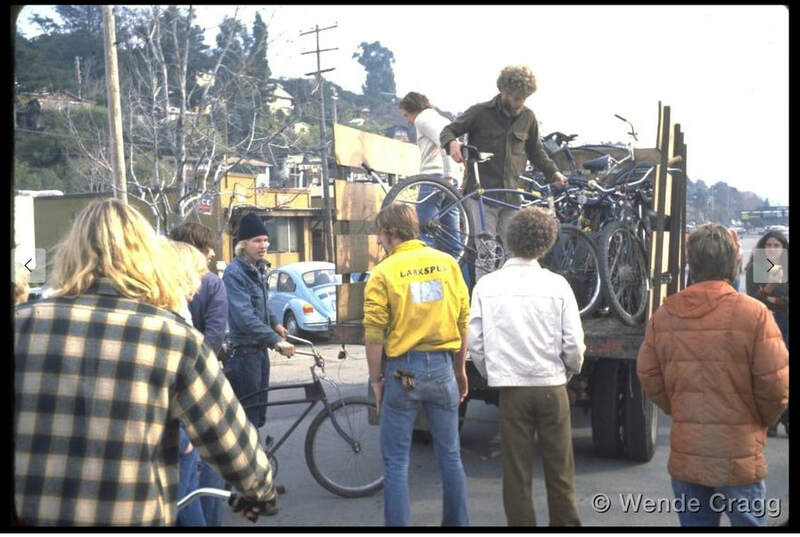 Rob made the trip to pick out his frame with fellow gang member Alan Bonds, who was regularly bringing back truck loads of frames to Marin. 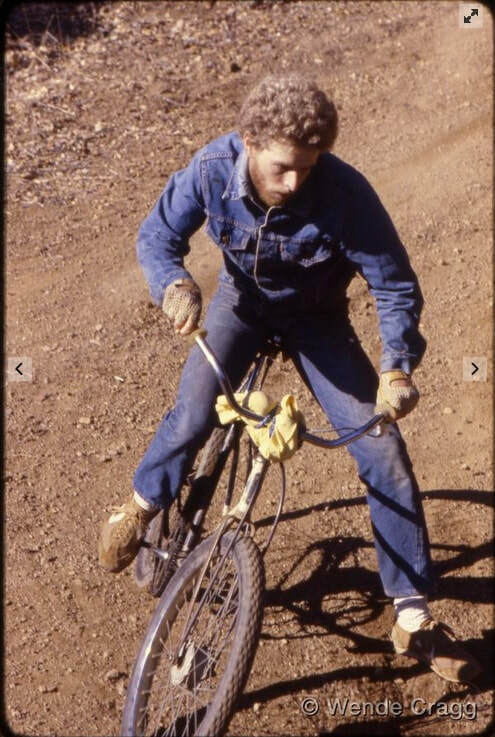 Rob rode this bike all over the hills of Marin and was a regular participant in the local race scene. 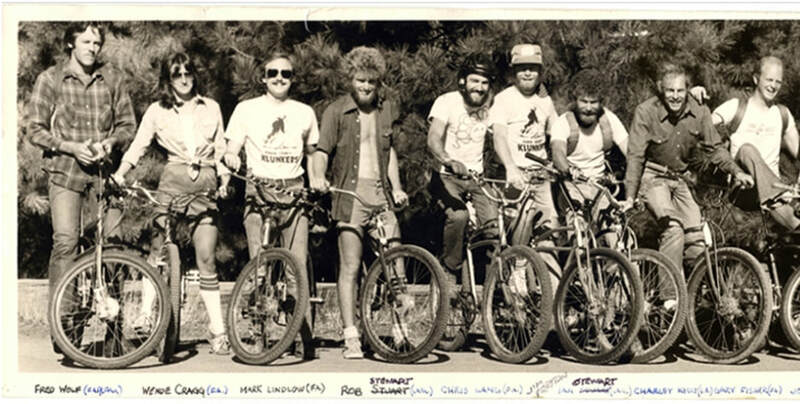 Rob would later go on to race mountain bikes for Steve Potts and WTB. 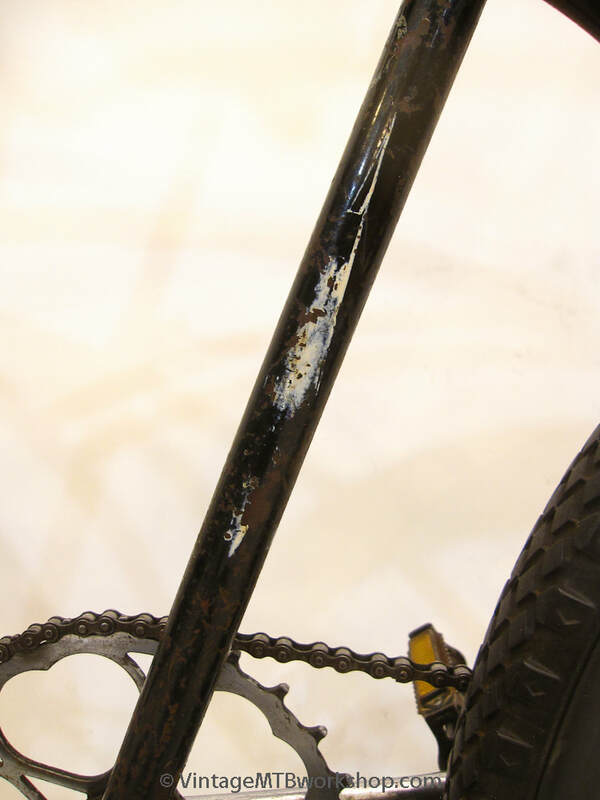 As shown, the bike tips the scales at 38 pounds, where more mass is equated with being a stronger, more durable frame. Because of the inherent strength of the cantilever design coupled with large welds, this bike was able to be ridden hard for many years. 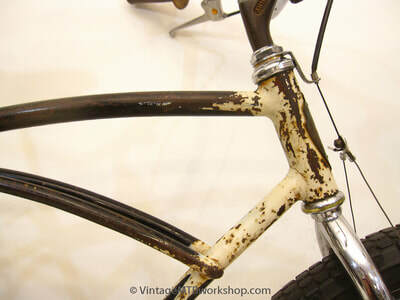 As a result, it serves as a living history of what was found to work really well on these bomber bikes. 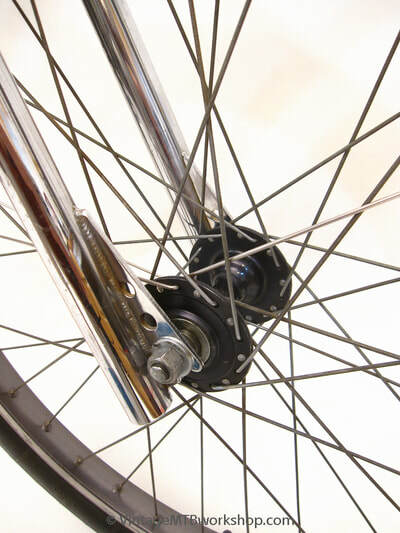 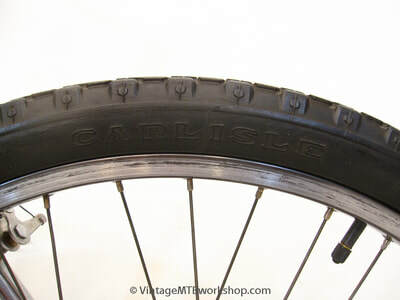 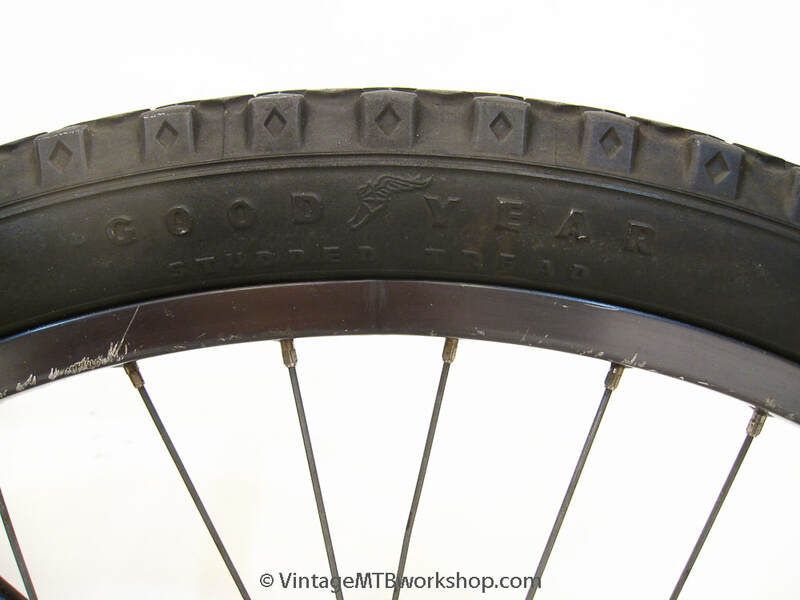 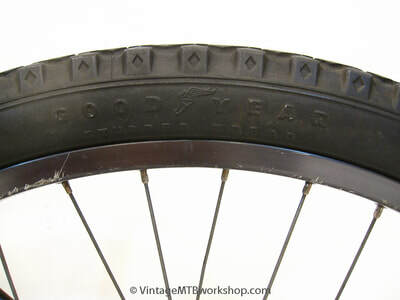 The rear-facing, horizontal dropouts kept rear wheels from being pulled out of the frame under hard braking. 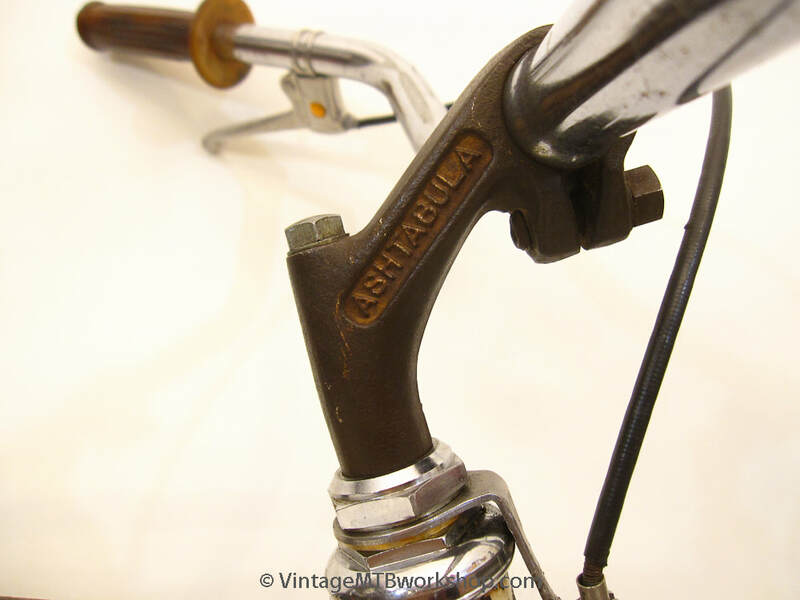 The Morrow coaster brake hub was the standard and could handle the excessive heat generated from Repack downhill runs and be rebuilt or "repacked" easily. 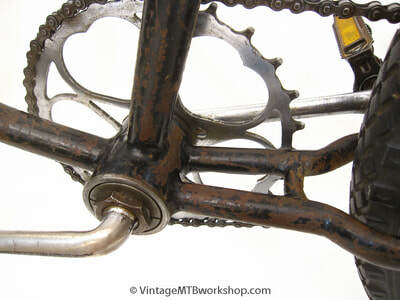 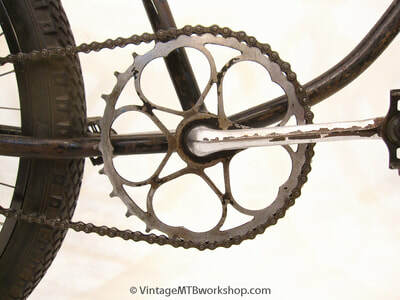 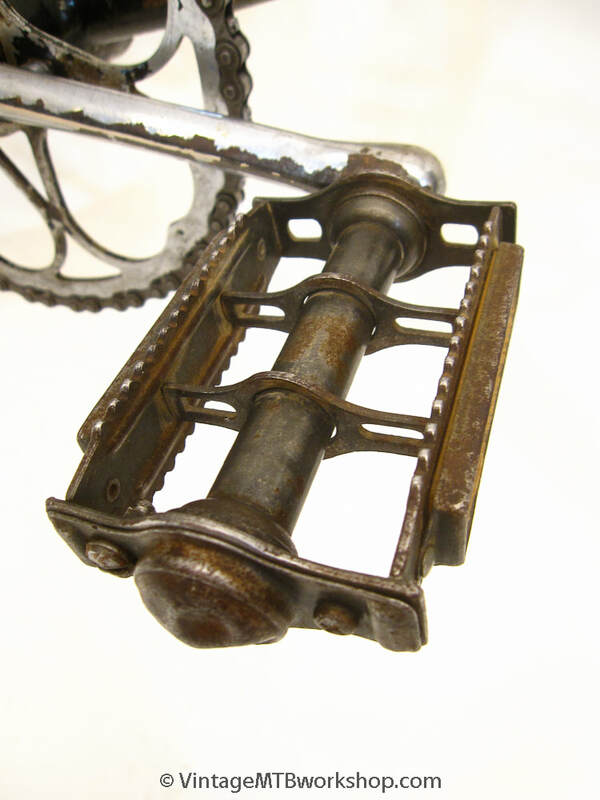 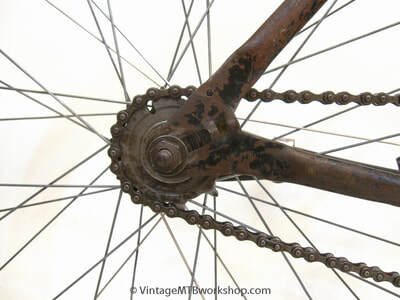 The skip tooth Diamond chains, Varsity cranks, and Ashtabula stems were found to be robust. 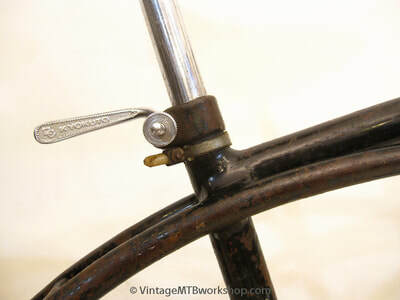 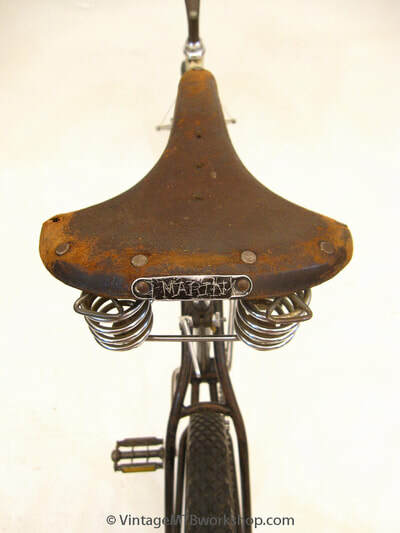 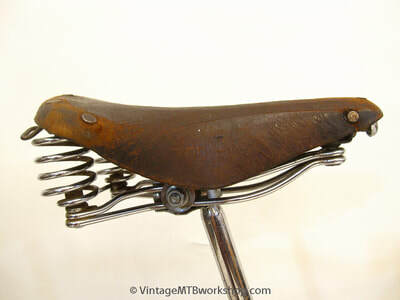 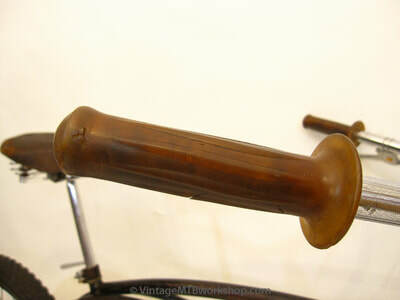 The springs on the Brooks B-66 saddle added some much needed comfort, and this one got re-branded as the "Marin" model. 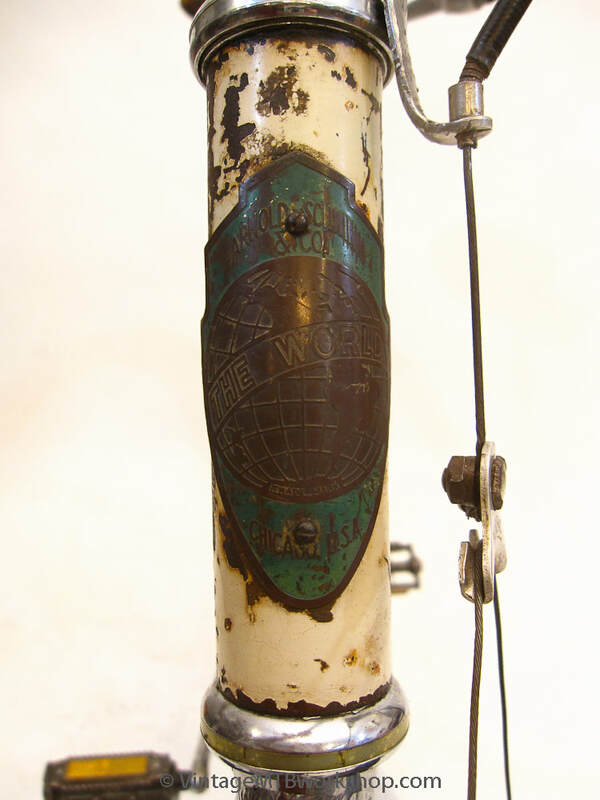 This frame has the Schwinn "The World" head badge. 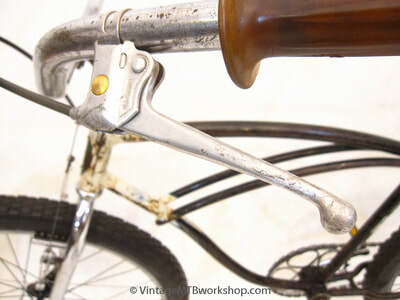 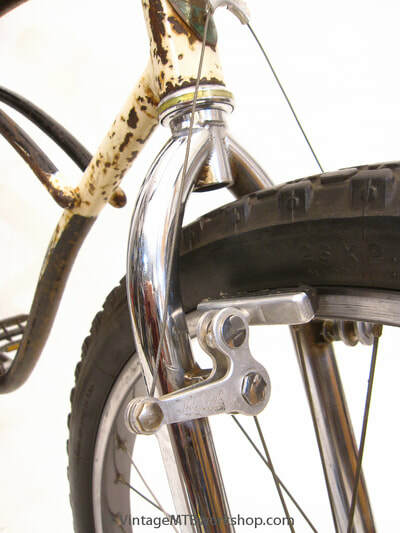 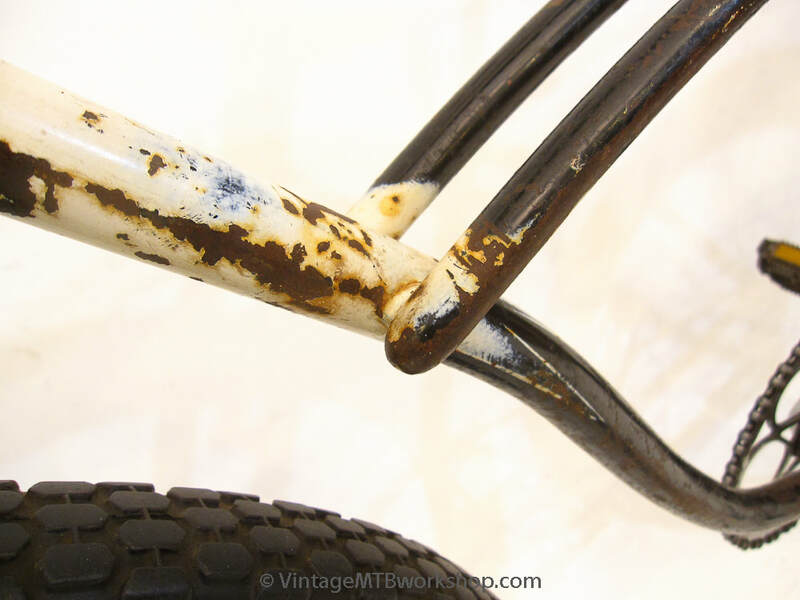 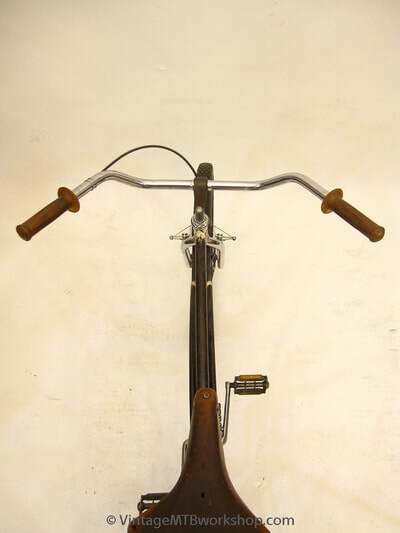 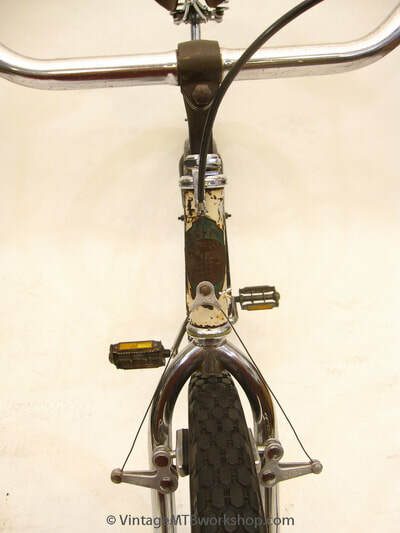 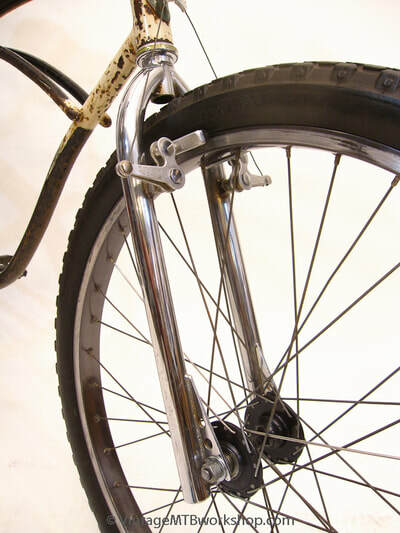 At some point the original Schwinn forged fork with truss rods was replaced with a tubular Cook Brothers BMX cruiser fork, which was far more reliable. It was unusual for a Larkspur Canyon bike to run a front brake. 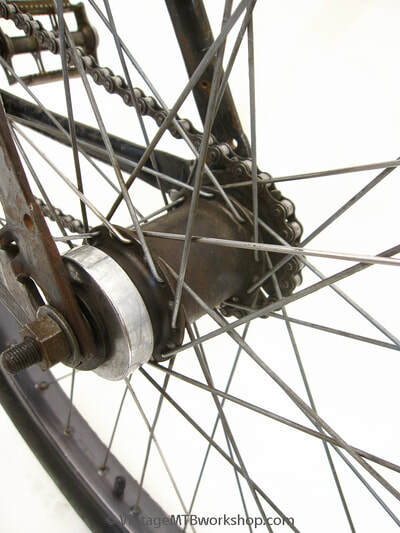 Eventually, the original Atom drum brake hub, which was prone to broken axles, was replaced with a Sunshine hub and Mafac tandem cantilever brake. 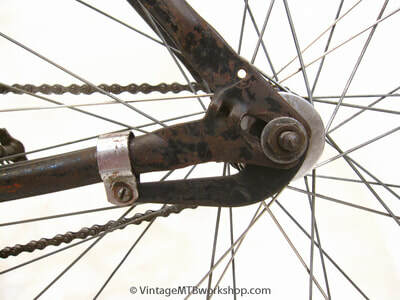 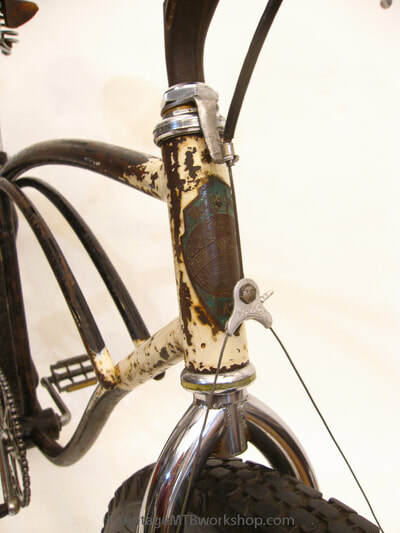 The studs of the cantilever brake bosses were re-enforced with bronze brazing, and to save weight the original chrome-plated S2 rims were replaced with aluminum Ukai. 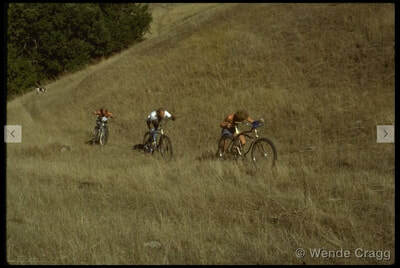 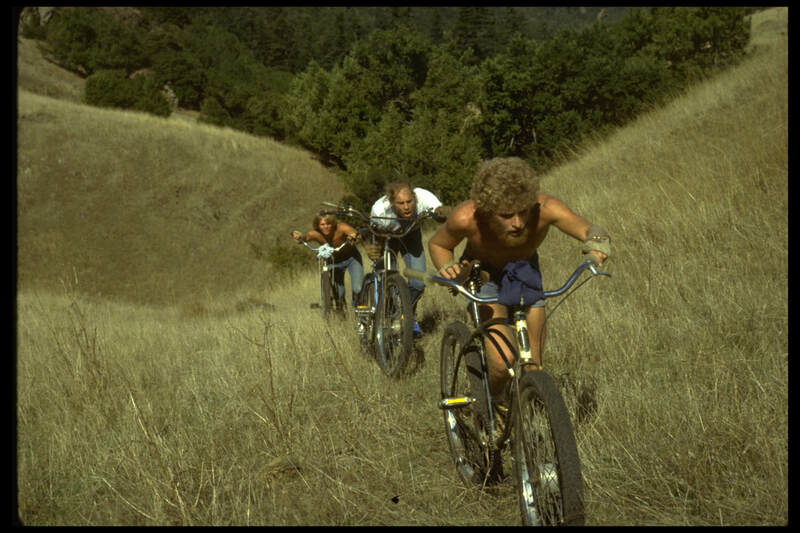 Original photos shown of Rob Stewart racing the bike down Repack and in the Fairfax "Enduro" in the late 70's were taken by Wende Cragg and Jerry Riboli.